When: Thursday, September 21, 2017 from 11:00 a.m. to 2:00 p.m.
Brief ceremony begins at 11:45 a.m.
Inglewood, CA. — Roots Community Health Center, a statewide organization for African-Americans, plans to open their second soap-making factory in Inglewood, California on September 21st. Clean360, a social enterprise of Roots Community Health Center, employs community members who have encountered barriers to employment. The twelve-week program, Emancipator’s Initiative, provides participants with essential factory based skills that will prepare them for the workforce. Due to the success rate and popularity of their flagship retail store and factory based out of the West Oakland Clean360 store, the nonprofit has decided to branch out to Southern California. The expansion includes a Clean360 Bath & Body Store equipped with a factory in the back. The Grand Opening will consist of factory tours, demonstrations, h’orderves, prizes, and raffles. 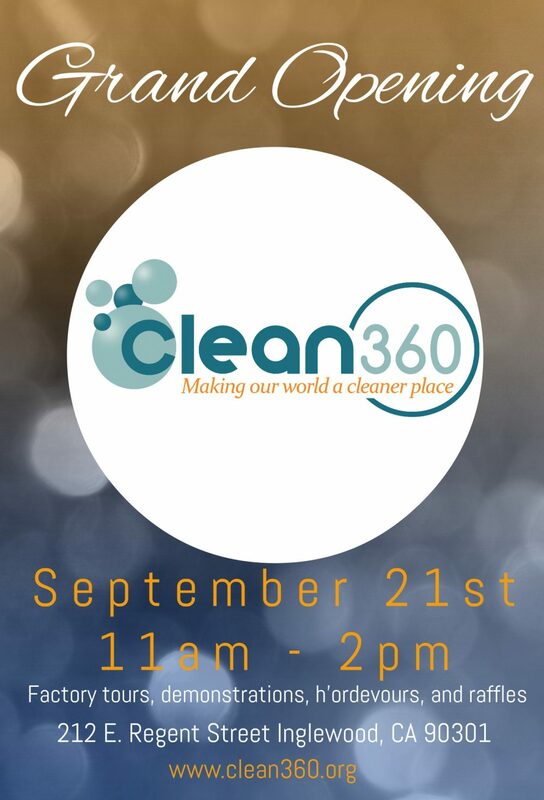 Members of the media are invited to tour the Clean360 factory and learn about our social enterprise. Media are encouraged to take photos and video of the retail and factory location. Dignitaries, partners, and other attendees will be available for interviews following a brief program and remarks. Clean360 is a social enterprise that creates small batch, handcrafted soaps from the finest ingredients in its workshop and retail location in Oakland’s Uptown neighborhood. All Clean360 employees are participants in Roots Community Health Center’s workforce development program, the Emancipators Initiative. One hundred percent of the proceeds from the sales of Clean360 soap are used to grow and sustain the program. Founded in 2008, Roots Community Health Center is a 501(c)(3) non-profit organization dedicated to improving the status of health of California residents. Roots implements its mission by providing high-quality, comprehensive and culturally appropriate health care, by implementing direct service models to increase access to care and thereby prevent the need for emergency services, and by coordinating cross-agency liaisons to ensure a more efficient continuum of care. For more information about Clean360 and Roots Community Health Center, including hours, location. Please visit: www.rootsclinic.org.